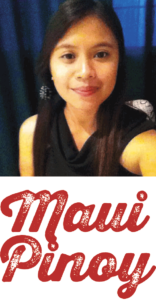 Editor’s Note: Normally written by our monthly columnist, Vince Bagoyo, Jr., this month’s Maui Pinoy column is guest authored by Joena Grace Galacio, a recent IT graduate from Bohol, Philippines. Every Filipino has his/her own favorite food, depending on what province they are from, what Pinoy parties they are celebrating most of the time or what their mama or Lola (grandma) offered them on their plate while creating a simple joyous family party at home. Filipinos are fond of celebrating special occasions, such as graduations, weddings, 1st baby birthday parties, or just simply getting together with families and close friends. All of these special celebrations come with a feast of your favorite Filipino food. What better way to celebrate your special event and to share your home cooked Filipino dishes. Filipinos are known to be hospitable, and it’s in their DNA to always share their favorite cuisine when you visit their homes. Here are some that you may remember that your own loving family prepared every time you are celebrating a special event with your family. Lechon is a whole pig placed in a spit roasted over charcoal while wiping a brush made out of guava leaves dipped in Sprite. A typical Filipino family always has lechon. Lechon is never absent in every province, especially during fiestas, festivals, weddings, birthdays, church thanksgiving days or christening celebrations. 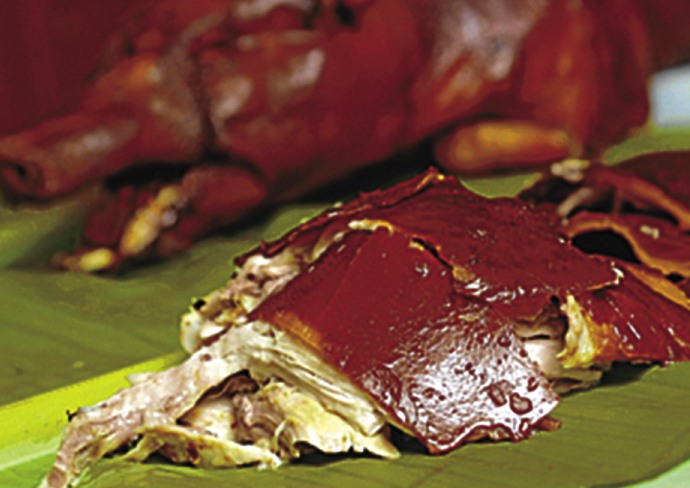 Lechon is considered to be a main dish in every party. To be honest, everyone can’t refuse having some good bites of crunchy skin and filling up their stomachs with the delicious meat. For me, lechon is like a temptation food because other people are restricted to eat some of it concerning their high blood pressure problems. But I know a lot of my friends are still having a little slice on their plate and enjoying a little bit of their careful bites because their doctors are not around! Pancit is a thin rice noodle dish fried with garlic and onion and some soy sauce or citrus—sometimes with patis, and some variation of sliced meat and chopped vegetables. It’s one of my favorites. Pancit is mostly served at every Pinoy party. Most Filipinos believe that if you eat pancit you will have a long life because pancit is made from long thin rice noodles. And the thin long noodles could add a few years to your life. It’s a common story I always heard from the elders from where I grew up when I was a kid—and that’s why it’s one of my favorites, because I want to live long. 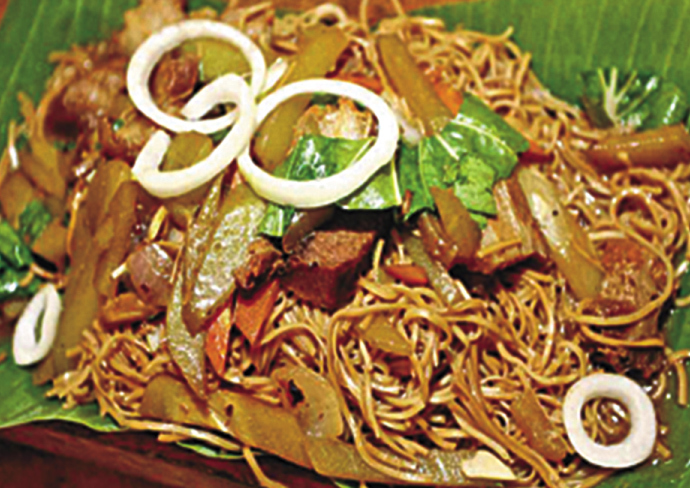 Most of the time, Filipinos love to eat pancit with rice—Pinoys are known to be carb eaters. Pancit is one of the cheapest foods that every Filipino family can afford to serve. Humba is pork belly cooked in brown sugar, salted black beans, laurel leaves and banana blossom. It is popular in the central part of the Philippines. 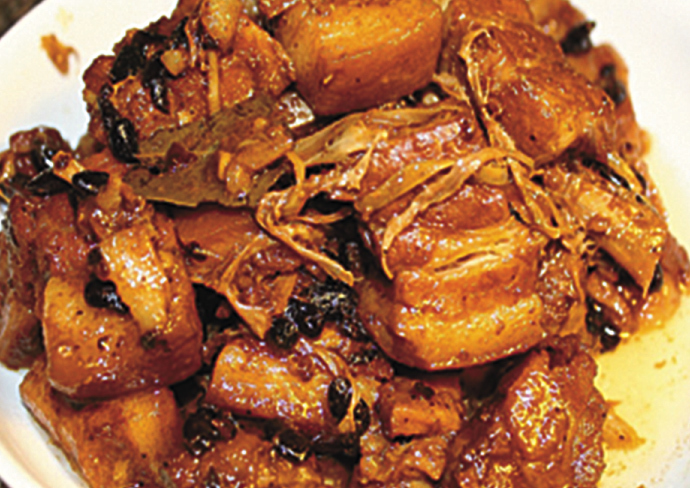 Pork Humba is a delicious pork dish. It is usually served during important party occasions like town fiestas, wedding day celebrations or graduation parties. It is actually cooked similar to pork adobo but it has a distinctive taste. 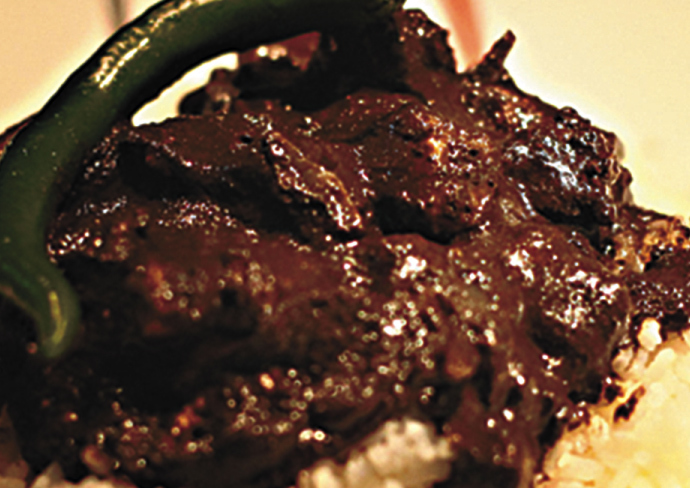 Humba reveals the sweeter taste, and the texture of the meat is softer than pork adobo. You could eat more rice paired with this food, as Humba is said to be an all time man food. Humba is one of my family’s all time favorites. Remembering how my grandpa cooked Pork Humba before was really undeniably super delicious. Craving the pork belly while tasting the black beans and the banana blossom is really great. Bola bola is made from ground beef or ground pork mixed with spices, vegetables and added with flour to form small shapes of balls and the small balls are deep fried. Bola bola is the ever-most famous and economical food. Many Filipino families serve bola bola every birthday. It is easy to make and it is meant to be a kid’s favorite. Before you eat it, you dip it into the sweet and sour sauce. 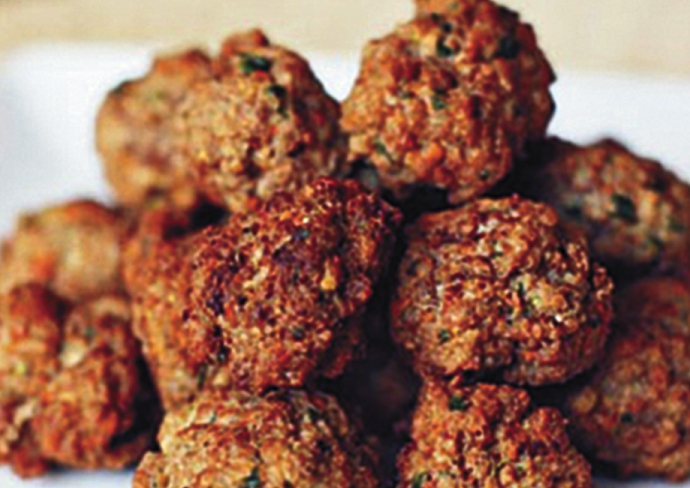 Never miss a chance to try bola bola; your heart (and your stomach) will suddenly fall in love with these meaty balls. Bola bola also creates a natural decoration form on your table because of its shapes. Dinuguan is a stew of pork, typically lungs, kidneys, intestines, ears, heart and snout simmered in a dark gravy of pig’s blood, rich with spices—most often chili, garlic and vinegar. Dinuguan may sound disgusting to others, but believe it or not, it is one of the most awesome favorite to every local Filipino in every occasion. Pinoys are known to save every part when they slaughter a pig and saving the blood could really be the best way to have the best menu in every party. As for Filipinos, dinuguan is best to eat with puto or rice cake. But to some they make it pulotan style, or food eaten with alcohol during drinking time at their parties.